Winning is a good habit, and Ole Gunnar Solskjaer will be soaring after Manchester United picked up a 3-0 win against Fulham at Craven Cottage. Not much to do for the Spaniard, who will be happy with the clean sheet – the fourth consecutive away one that United have kept. Trusted with the start, the youngster did good but lacked the composure that the likes of Valencia and Young usually bring to the wings. Back from injury, the English defender did a convincing job and replaced Lindelof quite decisively in the heart of the backline. Fresh from his contract extension, Jones was the best defender on the pitch, and will be eager to attain more chances under Solskjaer. A routine showing from Shaw, who may have forsaken a chance to make it 4-0 by choosing to take a shot rather than pass the ball late into the game. Another performance that will be ignored in the large scheme of things. Once more impeccable in his passes and takedowns, the Spaniard is swiftly becoming United’s midfield maestro. Capable as a holding midfielder, but seemed to struggle early on in the game and during periods when Fulham looked poised to attack. Since Lingard was rested, Mata did a terrific job of completing the attacking trident. He could have tried for more shots. The undoubted man of the match. His opening goal seemed almost impossible to score, while his penalty is a sight that is becoming quite common. Tony Martial Scores Again. 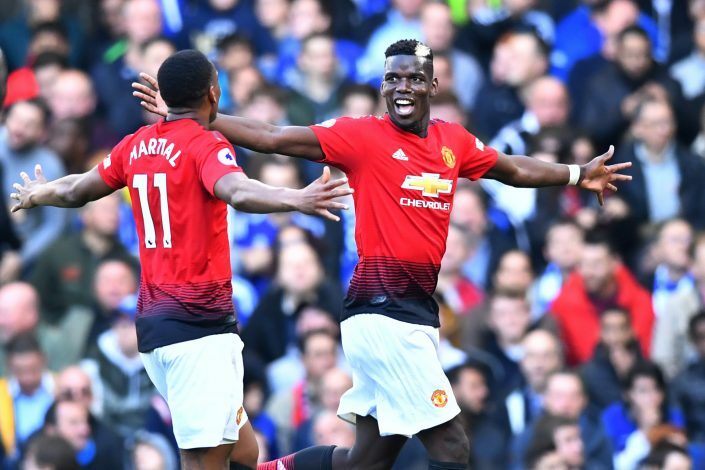 The Frenchman put in a brilliant showing, and his goal and its buildup could very well be in contention for the Premier League Goal of the Month. Another dull showing from the Belgian, who managed only one shot on goal. Is this the beginning of the end of his tenure at United? Poor showing and missed a chance at scoring. Not Paul Pogba, but a promising outing for the youngster. Brought in to see the game through, he didn’t make that big of an impact.